Jake Patterson appears for his preliminary hearing Wednesday at Barron County Circuit Court in Barron. 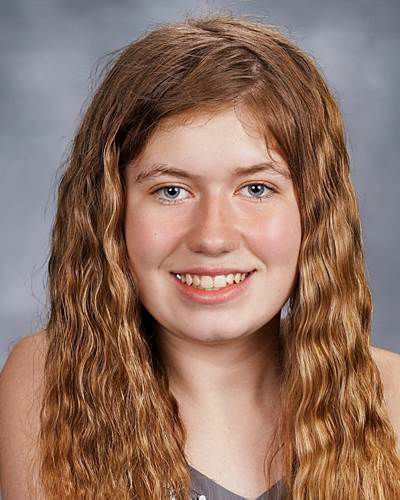 Patterson is accused of killing James and Denise Closs on Oct. 15 and kidnapping their daughter, Jayme Closs, from their Barron home. Jayme escaped on Jan. 10. BARRON — A man accused of kidnapping a 13-year-old Wisconsin girl and killing her parents waived his right to a preliminary hearing Wednesday, telling his family, “I love you,” moments after he was ordered to stand trial. Jake Patterson, 21, is accused of killing James and Denise Closs on Oct. 15 and kidnapping their daughter, Jayme Closs, from their Barron home. Jayme escaped on Jan. 10, after 88 days. About 20 members of the Closs family attended. Neither they nor members of the Patterson family spoke to reporters afterward. According to the criminal complaint, Patterson told investigators he knew Jayme “was the girl he was going to take” after he saw her getting on a school bus near her home. He made two aborted trips to the family’s home before carrying out the attack in which he killed Jayme’s mother in front of her. In the days that followed, thousands of people volunteered to search for Jayme. Investigators believe Patterson hid Jayme in a remote cabin in Gordon, about 60 miles north of Barron, before she escaped and got help from a woman walking her dog. Jayme told police that on the night she was abducted, she awoke to her dog’s barking, then woke her parents as a car came up the driveway. Her father went to the front door as Jayme and her mother hid in a bathtub, according to the complaint. Jayme told police she heard a gunshot and knew her dad had been killed. Patterson — dressed in black and wearing a facemask — broke down the bathroom door. He taped Jayme’s mouth, hands and ankles before pulling her out of the bathtub and shooting her mother in the head, the complaint said. Patterson took her to a cabin and said no one could know she was there or “bad things could happen to her,” the complaint said. When he left or had friends over, he sealed her under the bed with tote boxes and weights so she couldn’t crawl out, sometimes for hours, according to the complaint. When his father visited, Patterson told investigators, he turned up the radio to conceal any noise she might make.